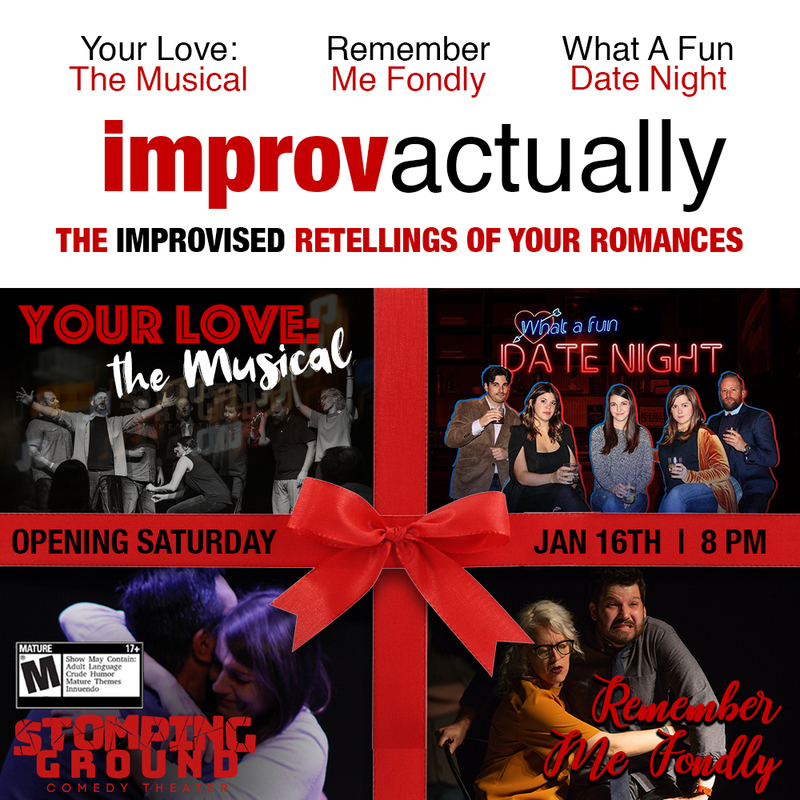 Celebrate Valentine’s Day with improv that’s all about love, actually. Kick off the evening with What A Fun Date Night where one lucky couple gets to see their beautiful relationship played out on stage. For all the singles out there, you’ll love Remember Me Fondly, where we examine a hilarious look at both sides of a failed relationship. And then round out the night with Your Love: The Musical- a chance to hear your story immortalized in song! With three fantastic groups, Improv Actually will take you on a roller coaster of love you won’t want to get off.